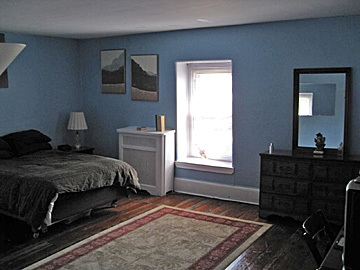 This is a large one bedroom, 3rd floor apartment. It has just been remodeled. 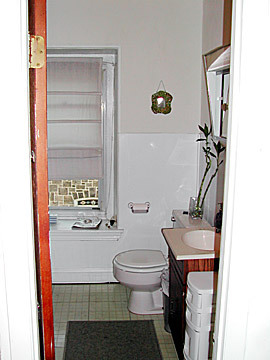 Original hardwood floors, tile counter tops, and new cabinets. This unit is beautiful. Comes with refrigerator and stove. 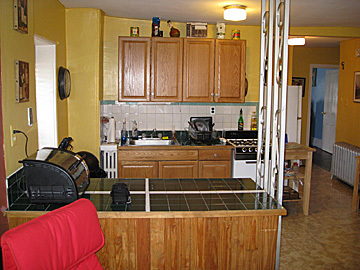 There is plenty of storage space in the basement and there is also laundry facilities there as well. This property is located right on the CoreStates bike race route. There is no off street parking but parking within a block is the norm. 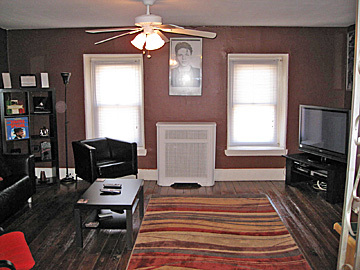 Walking distance to Main St. Manayunk and public transportation is only a block away. There is a front door buzzer for ease of letting your friends into the unit. Landlord takes care of snow removal and pays for trash pick-up. And also pays for heat and water. Tenant is responsible for electric, gas, phone and cable. Pets are not permitted. This is a one year lease to start.